Yan Breuleux's beautiful works are really worth checking out. Based in Montreal, both teaching in the faculty of Music at the University of Montreal and completing a Phd, he has accumulated a large portfolio of works that are documented clearly on his website. Yan Breuleux's animations are quite beautiful and some of their presentations and installations are quite breathtaking. He collaborates with musicians and composers and creates pieces for multi-screen, panoramic and hemispheric presentations. He is interested in the influence of architecture in audio visual performance and some of these projects are incredible in their scale and drama. 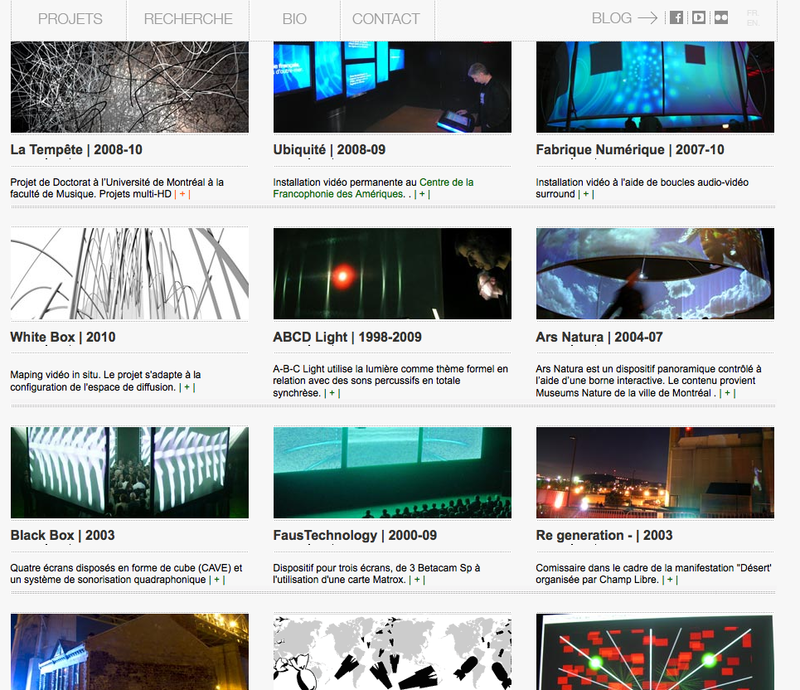 An example project has been documented on flickr. "En pr�paration de la diffusion de La Temp�te pour �cran vertical. 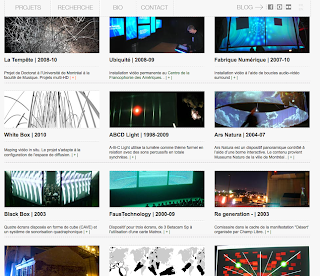 spectacles Samedi 23 Juillet � 20:00"
"A/V performance for a tryptic of HD video screens and quadraphonic audio. 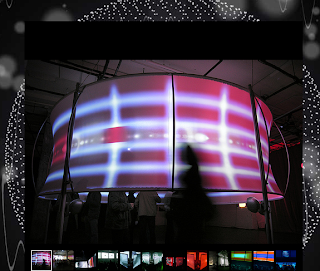 White Box is a work based on a new way of generating A/V compositions in real time and is a new piece in a cycle that began in 2003 with Black Box. This cycle metaphorically transposes, into sound and images, concepts from systems theory related to black, white and grey boxes. Captation video: Christian Pomerleau: gridspace.ca"
WHITE BOX | PREVIEW from Purform on Vimeo.